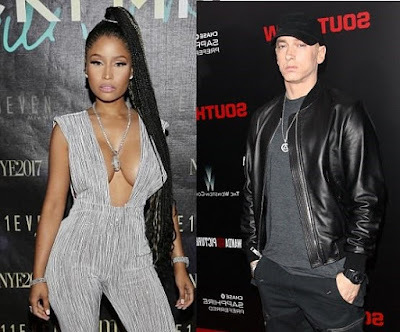 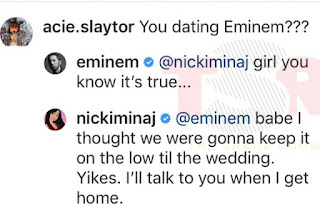 Home » » Could it be That Eminem and Nicki Minaj Already Planning to Get Married Soon ? 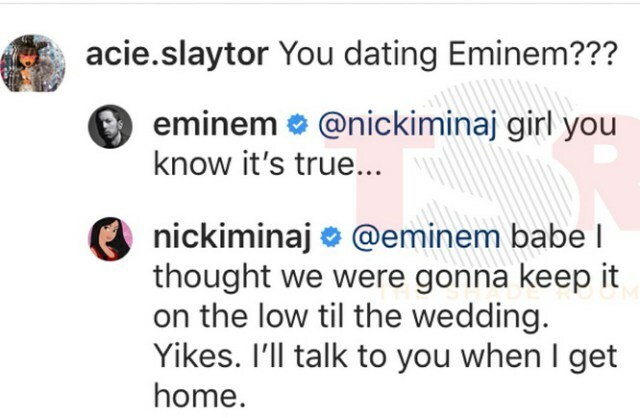 After which Nicki Minaj gave an epic yes, and now, Eminem has added more fuel to the fire. 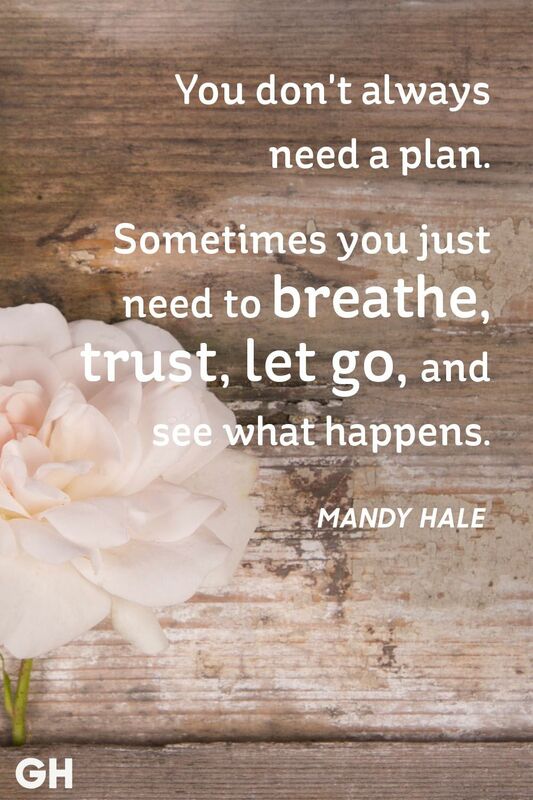 Although it seems to be lines from their songs.